Zancudo is Spanish for Mosquito. 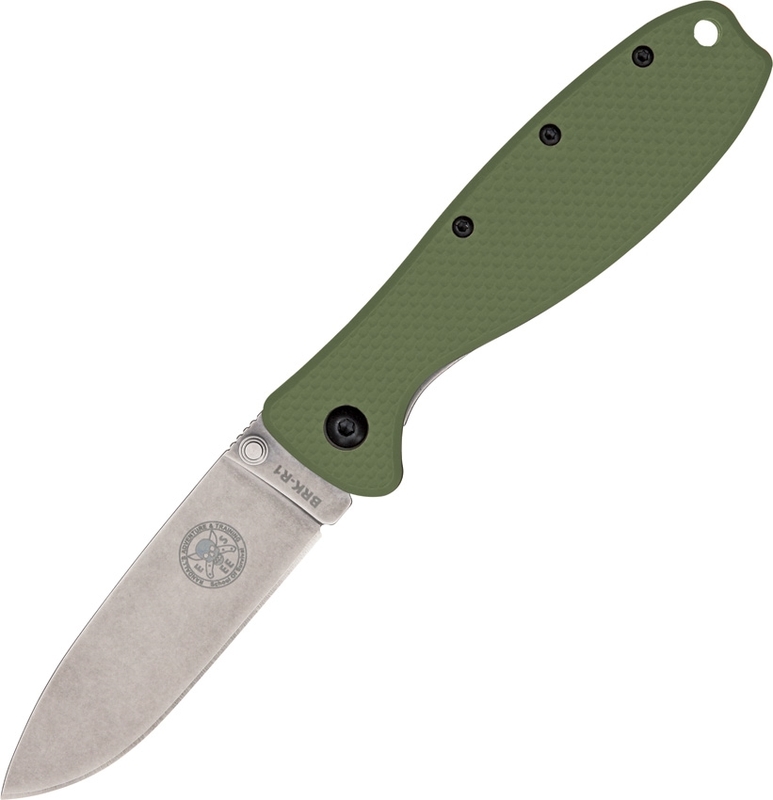 This Mosquito framelock folder was designed by the ESEE survival experts and manufactured by Blue Ridge Knives. The knife features 3" size spear point blade with excellent D2 tool steel. Green GRN handle with stainless back handle. The absence of the extra handle scale has produced an extremely slim profile and easy to carry knife. 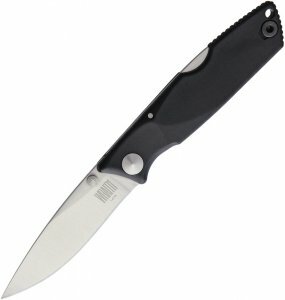 The knife also features thumb stud, lanyard hole and pocket clip. The pocket clip is reversible to all four positions. Weight 85 g.